Hoosier Hospitality in Central and Southern Indiana!!!! : Ladies and Gentlemen.....Start Your Engines!!! Ladies and Gentlemen.....Start Your Engines!!! It's the month of May in Indianapolis - and I finally found the best website for all the activities going on at the track - all pertinent info in user friendly layout. 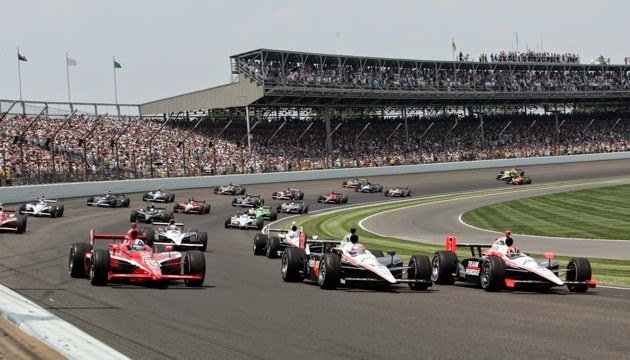 Click HERE for the complete calendar of events taking place in May at the Indianapolis Motor Speedway. There are a lot of related events that happen also this month. The mini marathon just happened this past Saturday.... but another fan favorite is the 500 Festival parade the Saturday before the race. It is the ONLY 500 Festival event that has taken place EVERY year since 1957. Don't miss it! Downtown Indy.